As always, I have had WAY too much on my plate! I just get TOO frickin’ excited about new fun projects that present themselves! The last two weeks have been crazy enough as is, trying to put on the school art show for Spring Fest as well as figuring out a brand new summer camp/class on request of my students and all the year-end activities! Ahhhh! As if that has not made me cRaZy(er), my cousin and my sister both had projects for me…both sounded great at the time until I began lol! Another teacher friend of mine passed this on to me the other day and I thought I would pay it forward. I will admit that I am not religious, but I do have spirit and faith in what I do and the love we all share for the world of art we are living in! And I am 100% SURE that all teachers started this path for one reason, to enrich and better the lives of each and every student we encounter in our lives! 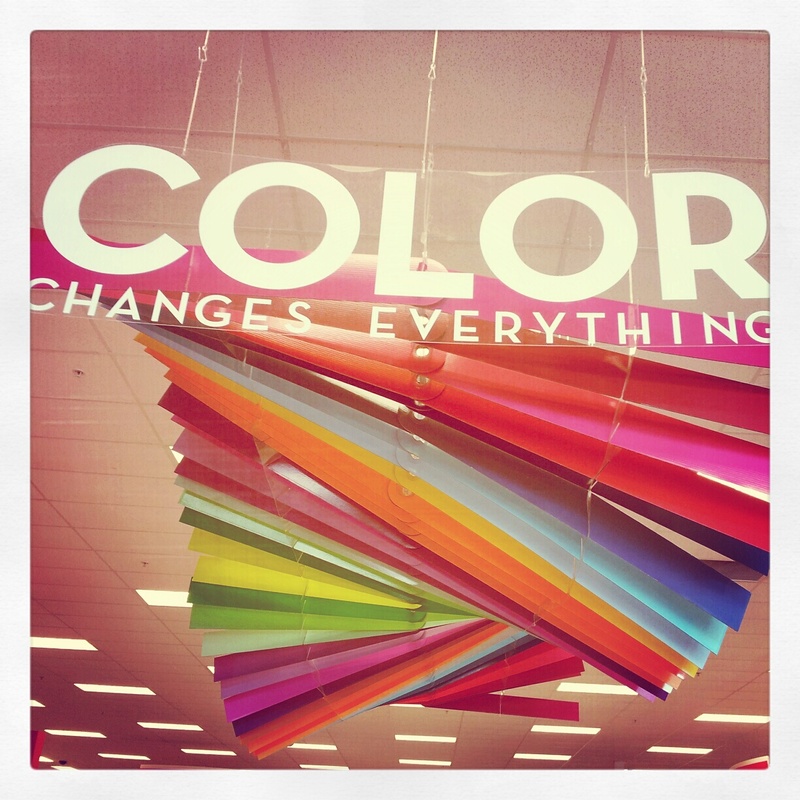 As you all noticed, I was very passionate about the Target display, “Color Changes Everything,” that I came across a few days back! I have multiple updates to fill you all in on after the amount of comments from both my friends/family and those of you in our online class haha. Update 1 – I contacted the actual designer in NYC through her website (not that she will probably respond herself or even through her “people”, but…). I calmly explained my concerns for the fact that they are not allowed to be donated or sold to interested parties, especially when the major concern is that they will be thrown away or recycled into something else when they are so beautiful and striking! I then went on to subtly give my opinion, that I believe once the designer receives them all back, that they should be donated (maybe through a lottery system of some sort) to the school districts for their Art Rooms. What better place to showcase her designs and inspire thousands of children across country, right? I have yet to receive a response. Update 2 – Because I cannot let things go once they get into my head…I, of course, revisited three separate Target stores the last few days (don’t judge, I am on Spring Break). Crossing my fingers and hoping that the manager of those stores would somehow have missed the designer’s requests and kindly take my name and number to donate their display to me, I just had to ask. More to my dismay and less to my surprise, the recurring answer was always the same. “No, its funny you should ask…we have specific orders…blah blah blah blah BLAH…..”. I decided to give up on the fact that one day soon I would be trying to figure out a way to get something of this size home with me! However, there was a TINY bit of great news. As I entered the last of three stores, I gave the display one last glance and looked a bit more closely this time. I could not believe what I saw – the colored slats of beauty were not expensive pieces of plastic as I had believed, but rather they were cardboard. CARDBOARD! This makes the entire situation better; this summer I will be making this display for my classroom so when my students enter in August they will open the door and their eyes (the same way I entered Target) to the “Color Changes Everything” masterpiece! I win. For the love of frosting! Okay…so I just realized earlier today that I completely forgot to mention that I am also an aspiring cake designer. 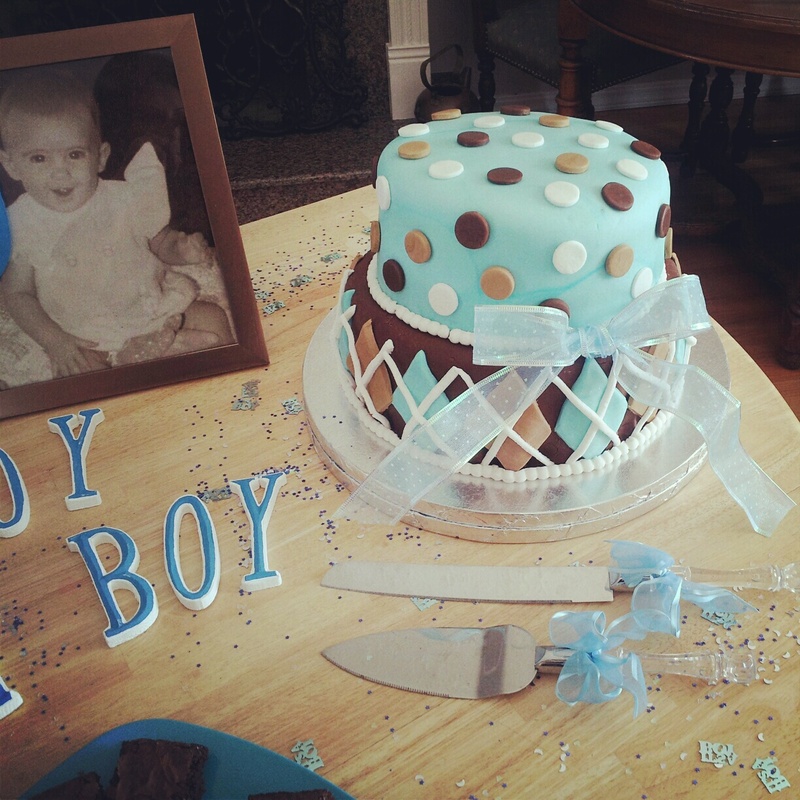 I love everything about cake decorating and the excitement on people’s faces when they see a completed cake. To me, cakes just make people smile! I haven’t gotten much time yet to begin this second career because I have been focusing so much time on my teaching career and getting settled, but soon I will be putting my other dream into action…in hopes of one day opening my own bakery! I opened an email from my mom this morning to find an awesome little surprise – a beautifully designed frosting mixing chart! I am not sure you understand how happy this tiny little email made me! I thought I would pass it on in the small chance that you also love cakes. 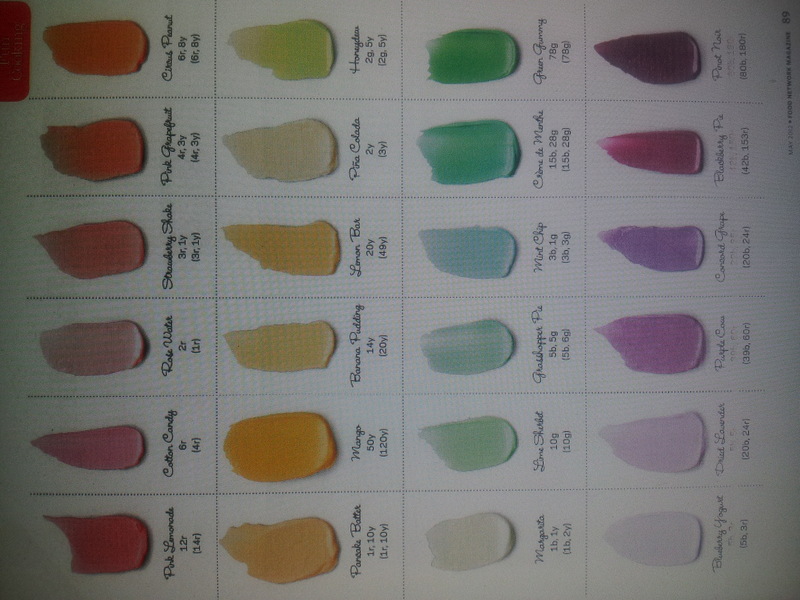 And if not, perhaps a new color chart for fun in your classroom! 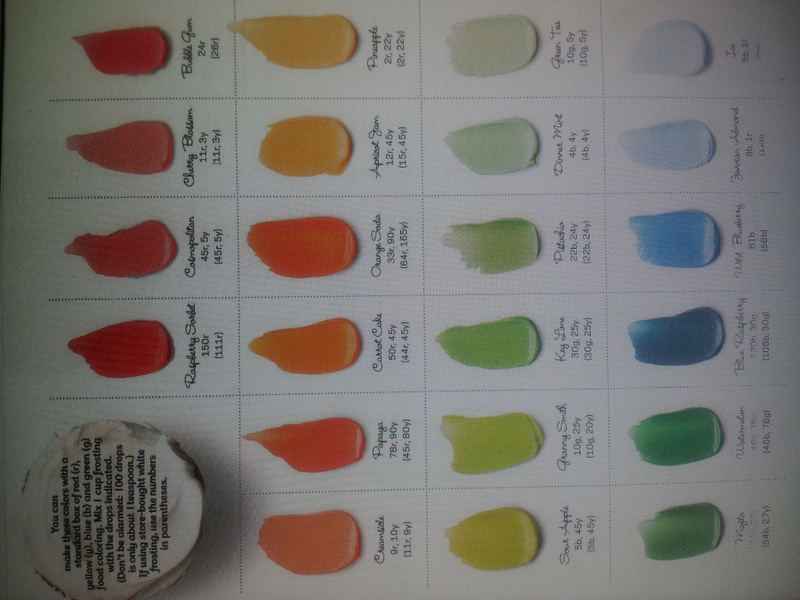 (stay tuned also for my frosting mixing color wheel cookie lesson plan and photos). *Note – I was having trouble converting from pdf to a photo file so I took a photo…if you cannot read this and would like a copy, I can email you a clearer version! A picture is worth a thousand words…and more! As I entered my all-time favorite store yesterday, Target, I was stopped dead in my tracks. I didn’t even need to tilt my head upwards because the display was so large! In my opinion it is their best display EVER…and although some may disagree, they can’t argue that it was 100% factual! I couldn’t help but stop and embarrass my mom by taking 10 photos of it and holding up the front entrance, but also proceeded to find the nearest manager to ask how I could go about purchasing or requesting the donation to my classroom (or the selfishness in me, for my own home studio that I don’t even have yet lol)! Of course, with my luck, an uppety designer from NYC designed this particular display for all their store locations as opposed to the Target Deisgn Team and she wants them all back – no donations or purchases possible (as if she needs hundreds of these GIANT displays back, but nevermind my opinion on that, and yes I did think about contacting headquarters in Minnesota about my frustrations). Needless to say, I will now be crafting my own replica masterpiece! As we all know, the last day before a big break from school is always a bit chaotic! For me, this was last Friday. My students were in the middle of a longer contour line self-portrait and collage project. I quickly realized that my poor time-management (can’t blame myself completely due to a last minute fire drill and assembly) had led my students to be a bit more wild than usual. I decided I could either throw on a movie, or I could somehow find a one-day lesson in preparation for our next unit, Texture and Pattern. 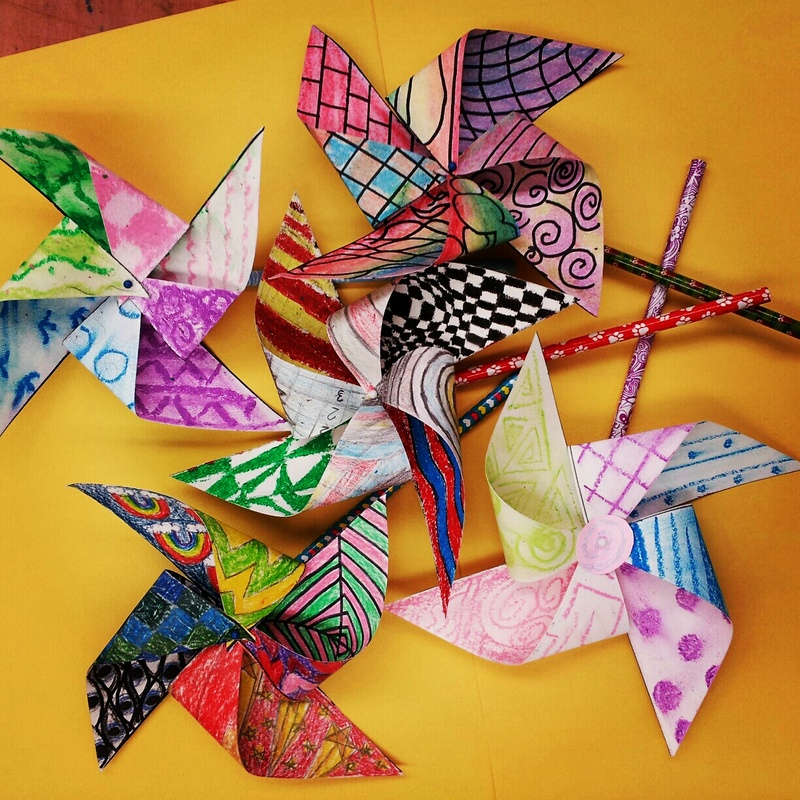 We are on trimesters and we are very short on time through the end of the year, so I searched frantically for ideas from other art educators and found one on the step-by-step process of making pinwheels. I already knew this was something my students could handle in one day, so this is what we did. The directions were simple: fill each section with a texture or pattern, and make it colorful. They had 40 minutes to do this part. We used the last 10 minutes to construct the actual working pinwheels. The students loved that, although they were learning one of the Elements of Design, that it was in a way that they could make something fun to show their friends! Next Monday, when we return (crossing our fingers for good weather), we will line the grass area outside my art building so the entire school can appreciate the color! 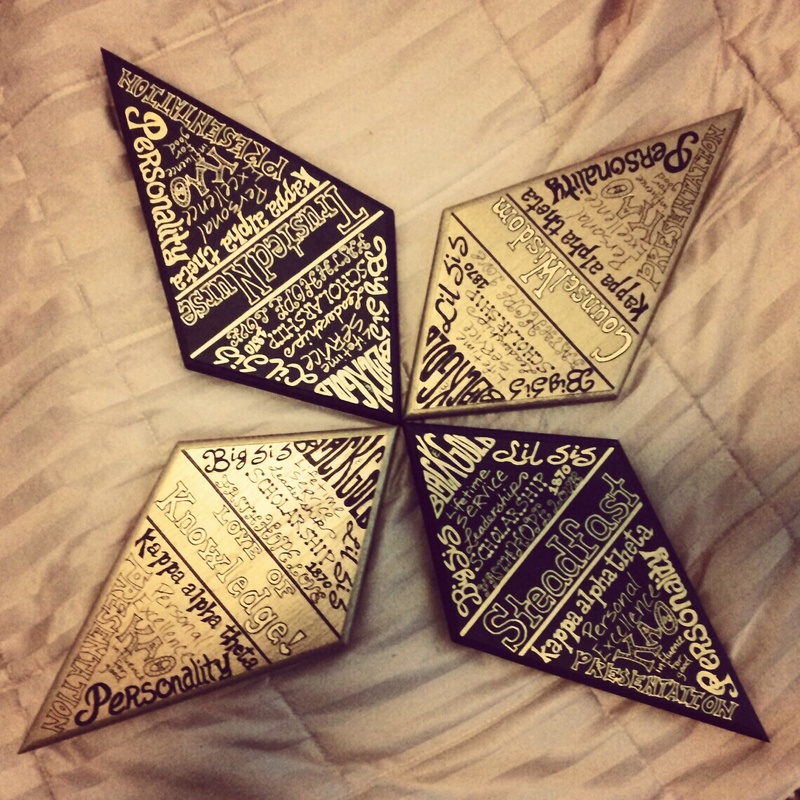 Here is a small sampling of the students’ work (we have appx 90 in total)! First, I would like to welcome you all and thank you for visiting my new blog. This has been a long time coming and I am excited to embark on this new adventure in my “spare” time. The original thinking behind me starting a blog was for personal reassurance that I am more than just an artist, and in fact, I am much more. I realized after all the questions from people in my life, family, friends, students, parents, etc., that I needed to put together an exciting place to share my world of brilliance and creativity! Our first-annual Kennedy Middle School "Spring Fest Student Art Exhibit" is here!